This stuff is amazing, I've literally been wearing it every day since it fell in the shopping trolley last week (oops). 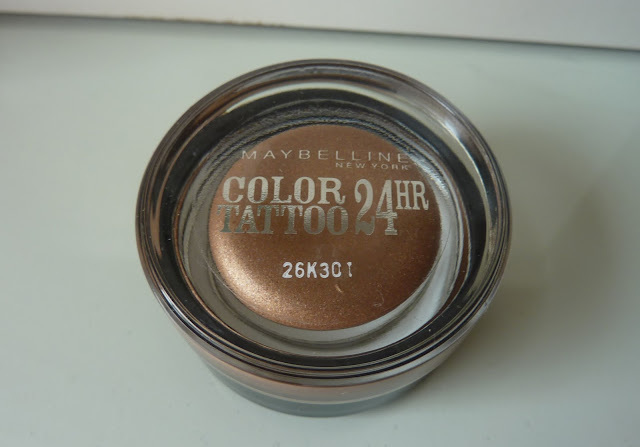 Maybelline Color Tattoo's are long lasting vibrant cream/gel eyeshadows. Think MAC paint pots but a whole lot cheaper. The formula is like a stiff gel that glides on easily giving an instant and intense burst of colour. 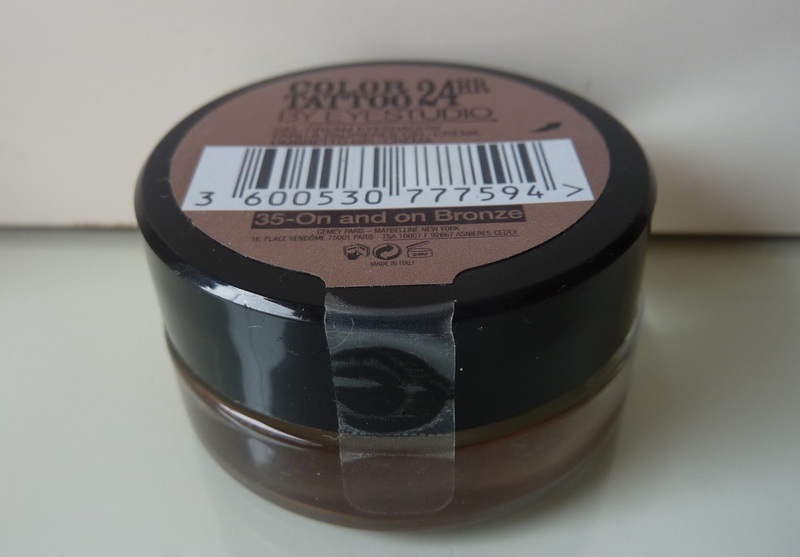 On and On Bronze is a mid toned bronzey brown that leans towards the taupe, which I love. In fact it's like a cream version of MAC's Satin Taupe, one of my all time faves. 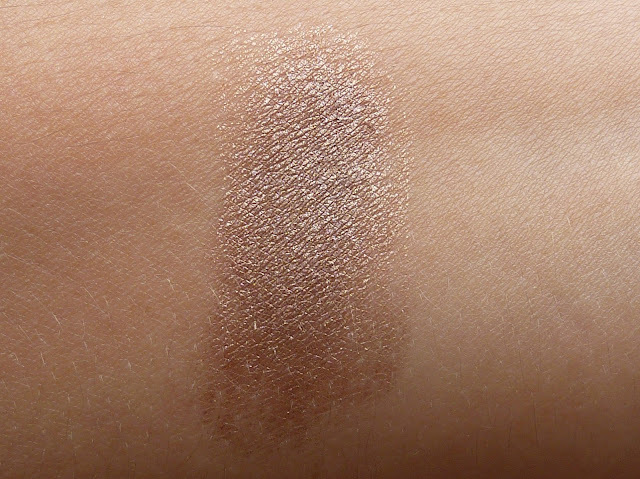 There's a strong shimmer running through it that catches the light beautifully, but it's not glittery. It's a summer must have! It's been my saviour during this hot weather - it glides on with fingers, lasts all day and doesn't crease. 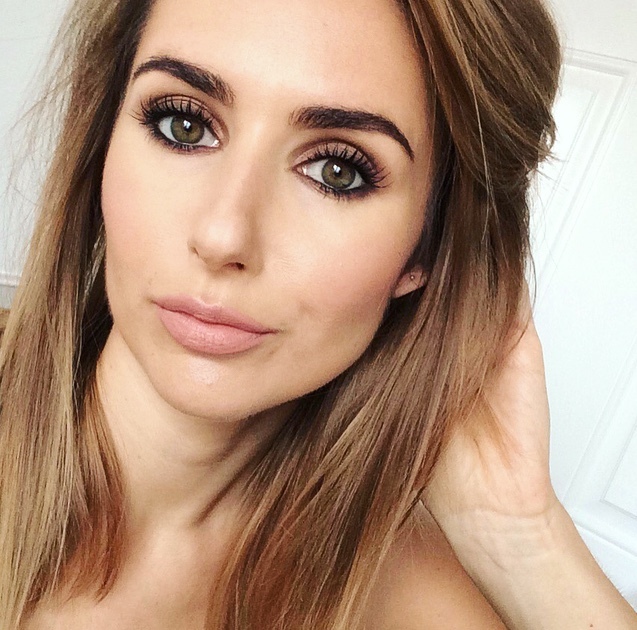 It's great as a base if you want to layer other shades over it or use as an liner and smudge along the upper and lower lash lines. Maybelline Color Tattoo 24hr Cream Gel Eyeshadow £4.99 Boots here Buy one get one half price and Superdrug here. Thanks for the review and awesome post. Love Essence gel liner!